Home > Blog > Corporate Governance > Tax & Regulatory Strategy > Should You Convert to C Corporation Status? One of the centerpieces of the Tax Cuts and Jobs Act that was signed into law last December was a permanent reduction of the corporate tax rate for a C corporation to a flat 21%. This reduced the U.S. corporate tax rate from one of the highest in the world to just below the worldwide average of 22.5%. It’s important to note that this 21% flat tax rate only applies to businesses that are organized as a C corporation. It doesn’t apply to businesses that are structured as pass-through entities, which include S corporations, partnerships, sole proprietorships and limited liability companies (LLCs). Most of these businesses also received a tax cut in the form of a new qualified business income (or QBI) deduction. But even with this deduction, the top rate for pass-through entities is 29.6%, which is considerably higher than the 21% flat corporate rate. Due to these changes, some owners of S corps and other types of pass-through business entities are thinking about whether it makes sense to reorganize as a C corporation. The answer depends on several factors, starting with how much income your business earns. The graduated personal income tax rates that currently apply to owners of pass-through entities allow the business to earn significant revenue before reaching the 21% tax rate. For example, if you’re an S corporation owner, file a joint tax return with your spouse and take the standard deduction, your tax rate wouldn’t hit 21% until the business’ adjusted gross income (AGI) reached $402,500. So you wouldn’t benefit from a C corporation conversion unless your business’ AGI is greater than this amount. Another factor to consider is the cost of making the C corporation conversion. Be sure to add up the total legal and other fees involved in converting from an S corporation or other type of pass-through entity to a C corporation and add this to your financial calculation. You should also consider the potential double-taxation of income that may occur with a C corporation. In a C corp, income is potentially taxed twice — at the corporate level and again at the individual level when profits are distributed to owners/shareholders. However, strategic tax planning can help you avoid this double-taxation. And if you plan on keeping profits in the business and not paying dividends, this also could make converting to a C corporation a more attractive option. S corporation ownership restrictions — S corps can only have up to 100 shareholders, while a C corporation can have an unlimited number of shareholders. S corporation residency and class of stock restrictions — S corporation owners and shareholders must live in the U.S. and there can only be one class of stock (common stock). A C corporation can issue both common and preferred shares of stock. S corporation shareholder restrictions — Individuals, estates or certain trusts must hold S corporation shares; other businesses can’t hold shares. C corps don’t face this restriction. Liability protection — Owners of a C corporation are shielded from personal liability for business losses, debts and obligations via what’s referred to as the “corporate veil.” However, S corporation owners don’t enjoy this protection. Deductions for employee benefits and losses — C corps can deduct the cost of fringe benefits provided to employees, like health insurance and retirement plan contributions. On the other hand, S corporation owners can write off business losses on their personal tax returns. The new flat corporate tax rate of 21% makes converting from S corp to C corp status something that many owners of pass-through business entities might want to consider. But there are a lot of factors that go into the decision. Therefore, you should work closely with your CPA and other financial advisors to make the best decision for your business and your shareholders. The Tax Cuts and Jobs Acts reduced the corporate tax rate to a flat 21%. This has some owners of S corporations and other types of pass-through business entities thinking about whether it makes sense to reorganize as C corporations. The answer depends on multiple factors, including how much income your business earns, the cost of making the conversion and the potential double-taxation of income that may occur with C corporations. 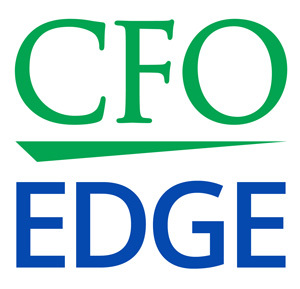 An on-demand CFO partner from a CFO services provider can help you determine whether a C corp conversion makes sense for your business.